Battleship. Risk. And Clue. Oh my! HAMILTON, Ohio – Put down your cell phone and pick up a pair of dice. 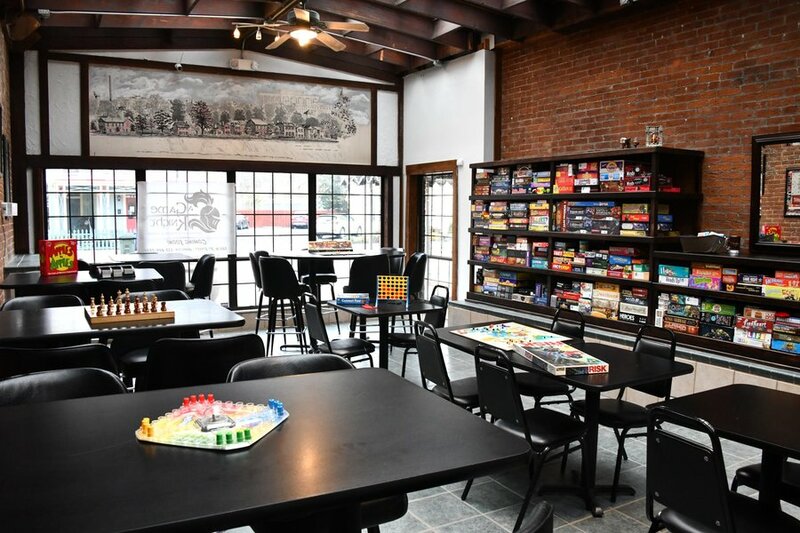 Hamilton's newest downtown business – a board game parlor and tavern – is now open in the city's German Village. A Game Knight, which debuted Friday at 345 N. Third St. with a roster of more than 400 games for patrons to play, not only complements a growing array of entertainment options in Hamilton, but leaders say it also could be the linchpin that spurs additional development in this historic district, next in line now that nearby High Street and Main Street are thriving. The concept is the brainchild of Bryan Brunner, a Hamilton native who has watched the city's decades-long decline – as both people and industry moved away – as well as its recent rebirth. When a group of old friends got together late last year to check out new businesses like Municipal Brew Works and North Second Tap and Bottle Shop, he was amazed at the changes in town. "I thought, 'Wow, this is great. I wish I could do something to be part of it,'" he said. "But I had a full-time job." That is until June. Brunner had spent nearly 30 years working for a major Fortune 500 company, but a restructuring left him jobless less than three years from his retirement goal. A coworker – half jokingly – suggested Brunner open a board game parlor. In his past life, Brunner had owned a comic book and game store, and for the last 20 years he has hosted a weekly game night at his home in the township. It wasn't exactly a novel idea. There are board game parlors and cafes all over the world. 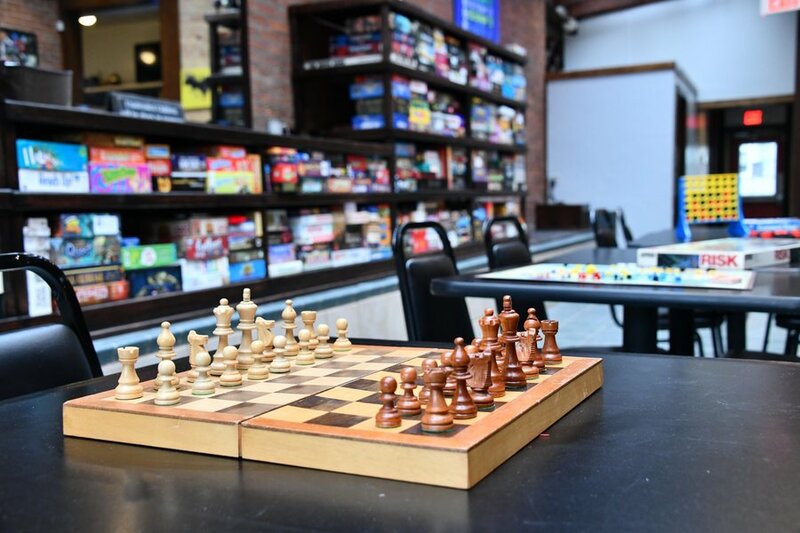 Locally, The Rook, a board game parlor, opened in Over-the-Rhine in Cincinnati in 2016, and D:20: A Bar with Characters is nearing its two-year anniversary in Kettering. Brunner balked but only momentarily. He said Hamilton was prime for a place of its own. "At first I was like, 'a what?' But I did some research, and I really thought it was something unique that could add to the community," he said. "There's lots of places to go drink and eat, but there's not a place to just go and sit and talk. I saw this as a way to get people interacting again – which is something I think that we've lost as a society – to put down the cellphone and have a good time." The locale also proved a perfect fit. Renovations on the 1800s-era building started in August. Today, the decor is intentionally nerdy and the vibe eclectic. He wanted the space to feel like a den, he said. Or a home away from home. "Some of the art hanging on the wall will take people time to get used to or figure out. It definitely goes for the nerd factor," he said. "But it's comfortable and inviting." As for the library, Brunner originally started with his own collection – about 150 games – but that number has since ballooned to 400 or more. Community members have donated dozens of games, too. Choices include classics like Connect 4, Monopoly and chess. There are kids' favorites such as Candyland, Chutes and Ladders and Guess Who. Battleship, Catan, Taboo and Trouble also line the wall. There are strategy games like Risk, various versions of Trivial Pursuit and Password, and newer cooperative games, such as Zombicide, a Brunner personal favorite, just to name a few. "We have everything from a plain deck of cards up to games that take six to 12 hours to play," he said. A Game Knight has dedicated space for Dungeons & Dragons and similar groups. There are war game tables, which can be reserved without a fee, and an area for competition card games like Magic: The Gathering. Brunner said the tavern also will offer weekly trivia and leagues. He stressed that A Game Knight is not a bar – there's no music blaring or sports on the TVs – but its drink selection is certainly a centerpiece. The tavern has 17 beers on taps – all craft – and a full bar with wine, 30 specialty cocktails and 14 different martini options. The game theme carries over here, with choices like "Washington Apples to Apples," "Agricola Lemonade" or "Cosmos." Two of the taps – there are 20 total – are dedicated to a rotating selection of craft sodas. On another, A Game Knight has partnered with Oakley Artisan Roasters in Cincinnati to stock a nitrogen-infused cold-brew coffee. "It's kind of like drinking a Guinness that's non-alcoholic," Brunner said. "It's rich and creamy and cold, and it's unique." Food is also tailored to the experience. The full menu will include soups, salads, sliders, flatbread pizzas, snacks like mini corn dogs and pretzel bits, finger foods and desserts like Rice Krispies treats, which Brunner called a "gamer's delight." "We wanted to make it easy to play and eat at the same time," he said. "So we focused on having foods that can fit in a basket, that can sit on the table without taking up valuable real estate." Game Knight is considered family friendly, Brunner said, but the tavern will shift to ages 18 and up after 8 p.m. Regular hours are 4 p.m.-1 a.m. Monday-Friday and 1 p.m.-1 a.m. Saturday and Sunday. 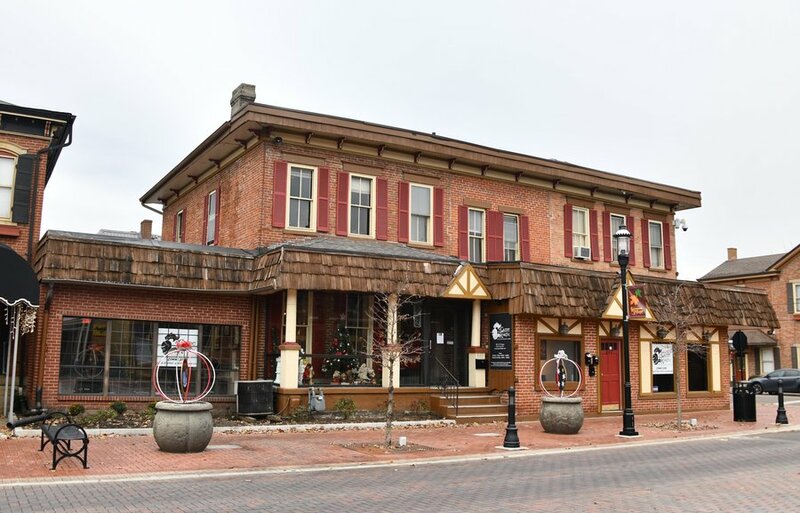 Overall, he said the tavern could be a catalyst for German Village, a nine-block historic district north of Hamilton's central business district. The Pinball Garage, which will feature both modern and vintage pinball games, is pending, as is The Marcum, downtown's first major development in over 20 years, which will add more than 100 new, luxury apartments. Spooky Nook, a massive sports complex, hotel and convention center, to be built on the former Champion Mill site, will be within walking distance away. "When I was growing up, you didn't really come over to German Village. It was mostly a no man's land," Brunner said. "It's completely different now. It's a beautiful area. The buildings are all being renovated. People are putting a lot of money into homes instead of tearing them down. I think this is going to be the anchor for the revitalization of this area. It's on the brink of exploding."